It's not often that you can get an American-made product for an incredible value with an incredible guarantee, such as a Kahr CM45 concealed carry holster by Alien Gear. Our gun holsters are handmade in the United States, and backed by an Iron-Clad guarantee. Every single one of our Kahr CM45 holster models that ships carries it. We offer both IWB and OWB models, both featuring our adjustable retention shell system. 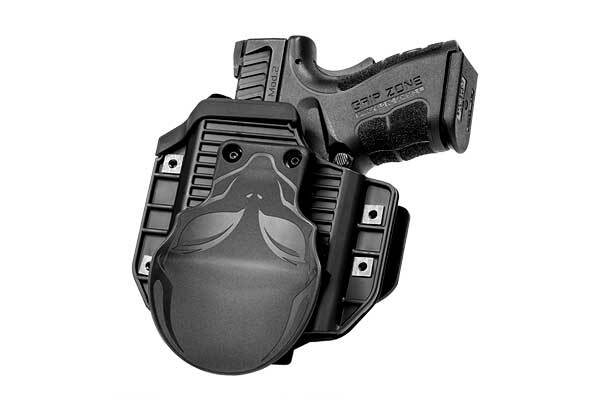 Alien Gear doesn’t rivet a holster shell like many other companies do, instead employing adjustable system that lets you set the draw that you prefer. 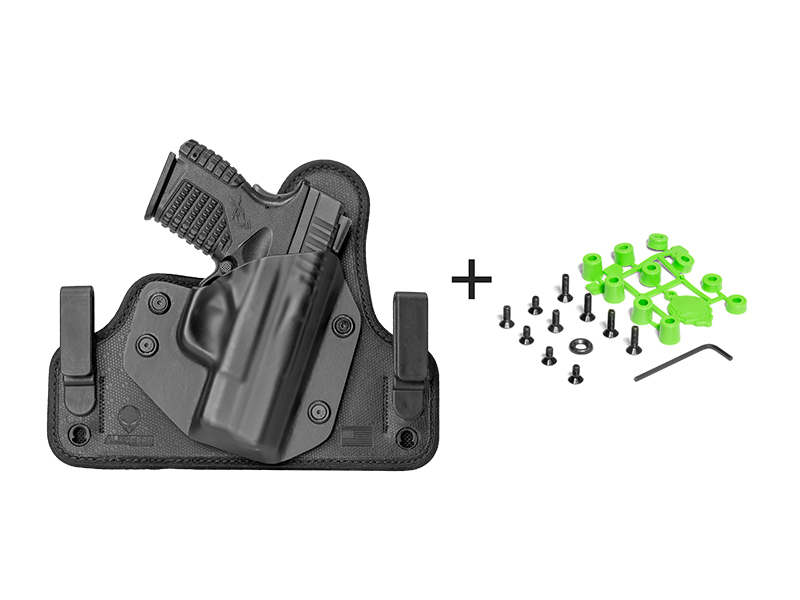 Additionally, our IWB holsters have adjustable belt clips (or optional loops) that let you set the ride height and grip angle of your preference. 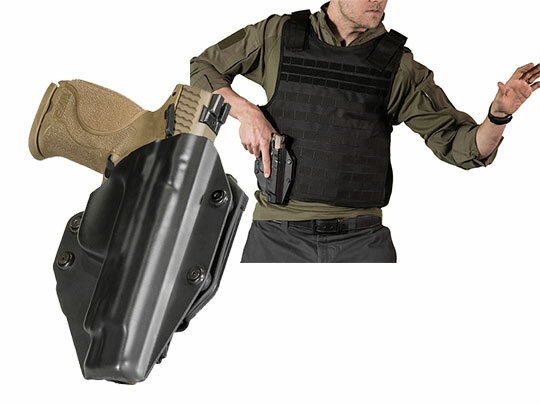 If you’re a fan of waistband carry and prefer an advanced holster construction, you can also choose the Cloak Tuck 3.0. 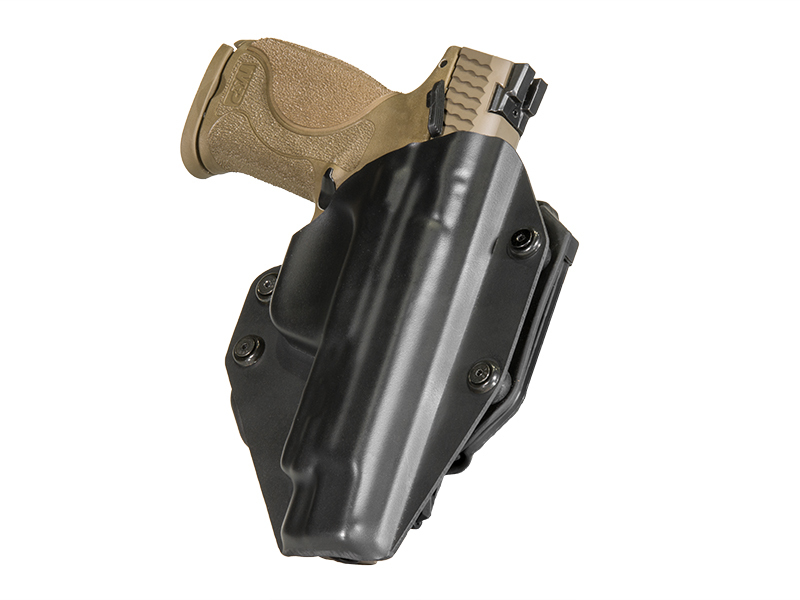 The 3.0 is a Kahr CM 45 IWB Holster that uses an Alien Skin surface for maximum grip while holstered, and a closed-cell neoprene back to keep moisture out and for a comfortable carry. The core of the 3.0 is a spring steel core, which makes this Kahr holster flexible enough for a comfortable all-day carry and strong enough to do so for a lifetime. The original Cloak Tuck IWB holster and Cloak Slide OWB holster are classic leather holsters, available in rich black or tan. Our guarantee includes a lifetime warranty on the holster itself, a lifetime of shell swaps if you ever replace your firearm and don’t want to buy a new holster, as well as a 30 Day Test Drive. 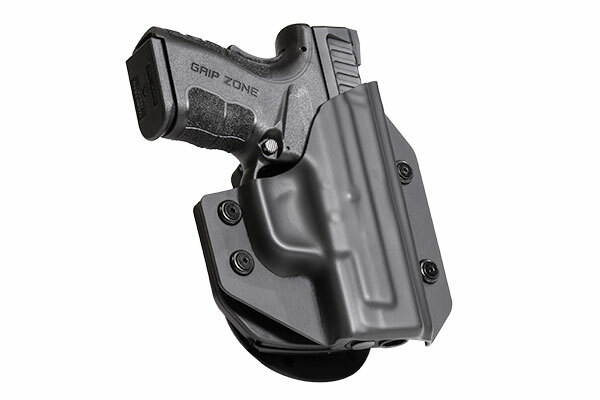 You can return your holster within 30 days of purchase if not fully satisfied for a full refund.